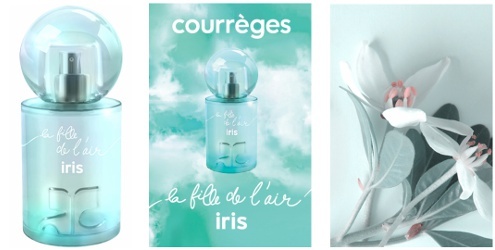 French fashion house Courrèges has launched La Fille de L'Air Iris, a new floral fragrance for women. La Fille de L'Air Iris is a flanker to 2015's La Fille de L'Air, and follows 2017's La Fille de L'Air Monoï. La Fille de L'Air Eau Iris was developed by perfumer Fabrice Pellegrin. The notes feature mandarin, bergamot, neroli, orange blossom, iris, heliotrope, cedar, white musk and tonka bean. Courrèges La Fille de L'Air Iris is available in 50 and 90 ml Eau de Parfum. I was good until white musk, ha — but also, have not tried any of the new Courreges scents, no idea if they’re great or not. I have no idea how widely these are being distributed — good luck! The notes sound so good I may overlook the white musk!